Correct train timings of Indian Railway are important for users who want to know whether or not a train is running as per schedule mentioned in Indian Railway timetable. Knowing accurate timings of train allow passengers to plan their journey much better. By knowing current train timings, railway users can estimate when they will reach their destination which enables them further to fix their appointments, and schedule their work properly. Get current time of train by SMS and by Phone Call. You can see arrival and departure times of any train online on railway enquiry website. 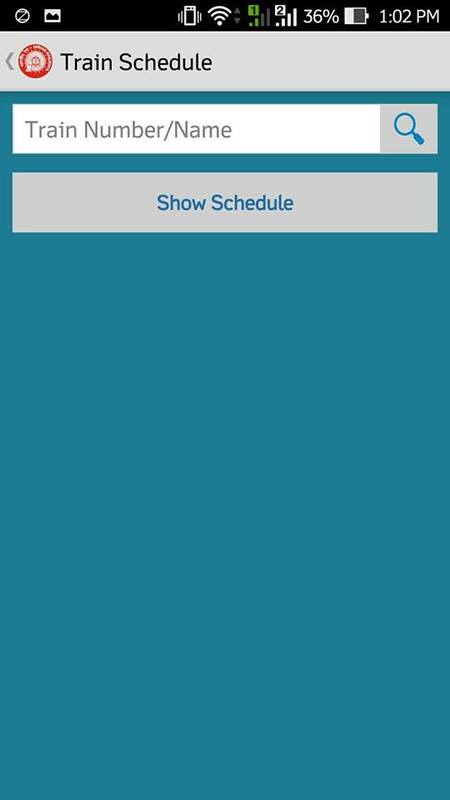 In fact, if you know your train number (see on your ticket) or a train name, you can see train timings and get complete train schedule. If a train is not running on time and you want to clarify whether it is delayed due to some reason or is suspended or cancelled, you should go straight to national train enquiry. To find the location of any train use spot your train service . Here is a snapshot taken from indianrail.gov.in website. 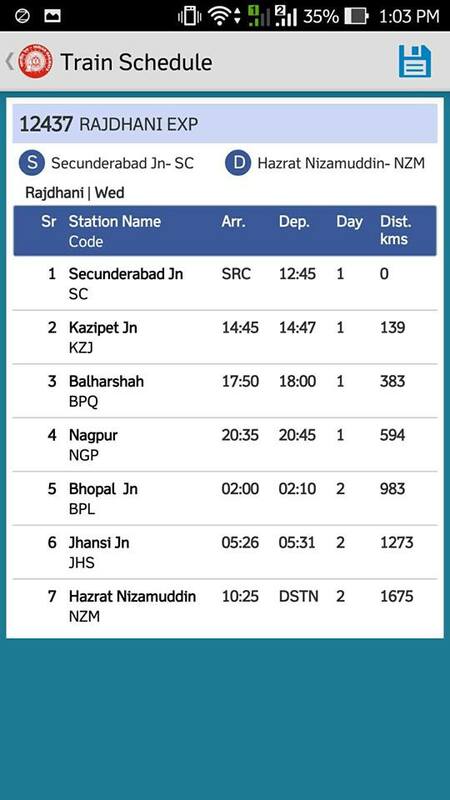 This snapshot is an example of how to do train enquiry for train times on railway. You can see how the train name appropriate box.You could also enter the train number directly, in case you know it. Now, what if there are many trains with the same name? Don't worry! The system will list all the trains with the same name. Look at the screenshot of the trains returned for the above mentioned train. trains above have same names but different train numbers. Select the train which is appropriate for you and 'get schedule'. You can pick the right train by looking at the train's source station and destination mentioned against its name. Time for another snapshot. This is what railway enquiry system show you. As you can see it is a complete train route along with halt stations, halt time (in minutes), arrival and departure time, along with schedule. to save space only top 10 station of the route are shown. These train timings should match with what Indian Railway Catering and Tourism Corporation (IRCTC) shows on its booking page of e-ticketing system. 1. Install NTES APP: Download NTES APP from Google Play Store or Windows Store. 2. Go to Train Schedule Section to get latest train timings. 4. Note down your train's schedule displayed on a timetable on your screen. Similarly you can also select 'Live Station' option to see trains running, arriving and departing, within next 2-4 hrs from a particular station. There is another method of getting the train timings and its route. This is by sending 'sms' from mobile phone. This is probably the simplest method to get timings of any train. All you need to do is to call on railway enquiry number 139 (toll free no.). Than follow the instruction. It will ask you to enter a number to know current train timings of a train on your station. Than you just need to enter the STD code of your city and train number. In case you don't know train number, just enter STD code of station. System will tell you the arrival and departure time of all the trains scheduled within next 4 hours on your station. 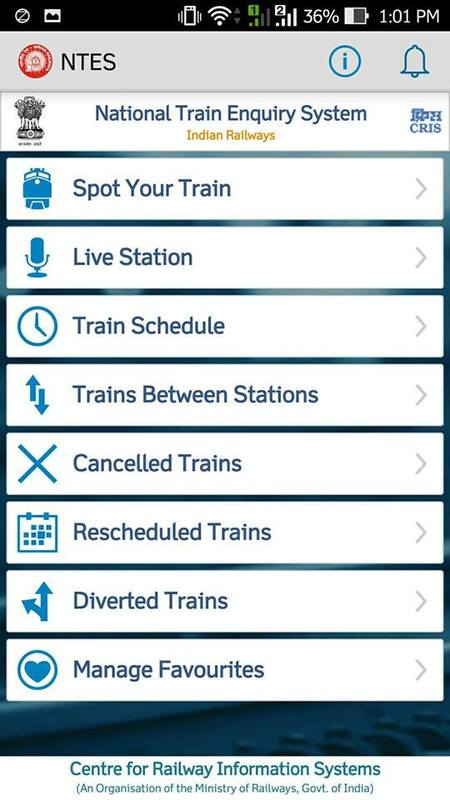 Thus you can see there are multiple options to check train timings available for users. One can use any of them as per their comfort and depending on devices available to them. Railway also publishes a printed version of train schedules known as "Trains at A Glance" which contains timetables of all the passenger trains of all the zones in India. Download latest version of trains at a glance (in PDF) to see all the timetables of running trains.